One of the women whose life could be dramatically impacted by the Spanish Teacher’s Co-Op is Ana Mamani. Already a “host mother” to volunteers who live with her and her family, Ana wants to become a teacher in order to help visitors to Ollanta better communicate with their host families and in their work. 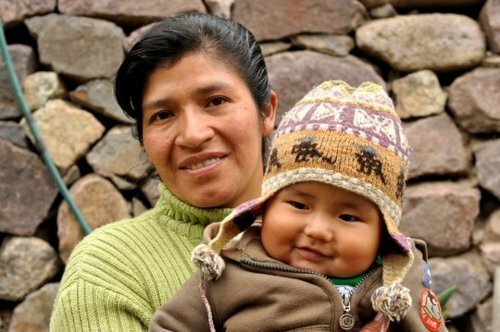 The additional income would allow Ana and her family greater economic stability, and she would use the money for better healthcare and educational opportunities for her children, Shura, 18, and Fabricio, 18 months. You can help Ana become a teacher by donating via Global Giving – donate on October 19th to have your gift matched! Even $10 goes a long way in empowering women like Ana to learn life changing skills and support their families. Don’t forget – you can also help by “liking” or reposting our blog posts on Facebook, Twitter or Tumblr! Help spread the word!